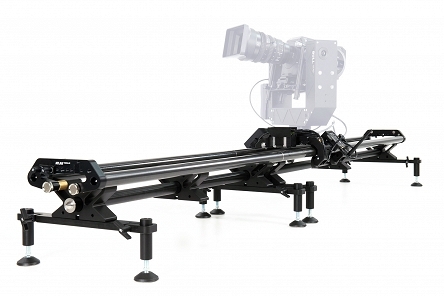 Allows easy connection of rail sections to create 4m, 8m or even longer tracks that meet the filmmaker’s needs. The construction of the set allows assembling and disassembling without the use of any tools. Even with significant weight of the set (camera with all accessories), the slider won’t yield under it. Each section is equipped with four adjustable feet, that easily and quickly fix to any surface. You can precisely and in no time level the set standing on the ground. Depending on the weight of your set, you can use additional DUAL support. BULLTM HEAD versatility allows to mount it any way you like – vertically, horizontally, or upside down. You can mount your camera close to the floor or to the ceiling.